The effort to produce explicitly Christian license plates in Florida failed. 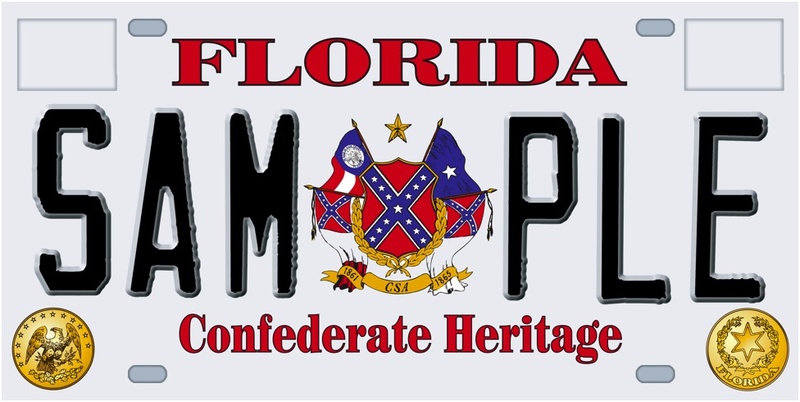 But the effort by the Sons of Confederate Veterans to have a plate produced in the Sunshine State is going forward following a legal victory. While I find a plate with a Confederate flag to be in poor taste, I agree that it does not violate the state or federal Contitution. Apparently, Sons of Confederate Veterans has successfully established Confederate plates in nine other states. So I expect this proposed plate in Florida to go into production soon. And I like the prospect of plates that reflect my rebellious political beliefs. So if, say, New York State ever approved a 'Choose Life' plate, I would lobby Planned Parenthood to sponsor a 'Family Planning' plate. It's only fair. The 'Choose Life' plates are knocking on our door. Pennsylvania and Connecticut both offer them. Five years ago, Planned Parenthood sponsored plates in Montana and Hawaii. The Hawaii plate failed to attract the required 150 customers. The Montana plate is still in production. 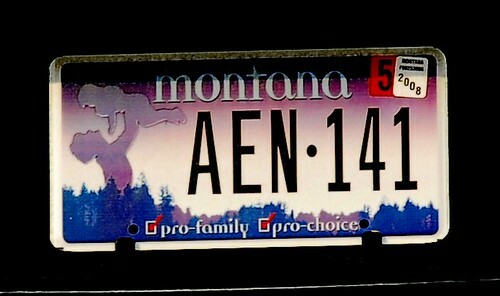 The Montana plate is not as subversive as my 'Family Planning' idea. It has the more diplomatic phrase, "Pro-Family, Pro-Choice".